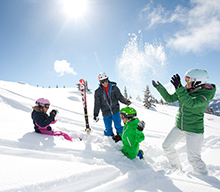 Real winters, snow several feet deep, and loads of fun for the whole family. 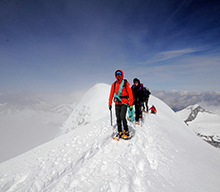 Take your time to enjoy everything Kleinarl has to offer between 1,014 m (3330 ft) and 2.654m (8710 ft) above sea level. 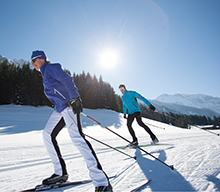 Our apartments' central location make them the ideal starting point for all winter sports activities. The Kleinarl cableways are located just a few minutes walk away. You can even ski down to the lifts, and follow a run right back to the doorstep, when there is enough snow. Kleinarl is a snow paradise in the winter months. The local Mooskopf cableway connects you to 250 km (155 miles) of groomed slopes in the Salzburger Sport World, which links the ski areas of Flachauwinkl, Zauchensee, Flachau, Altenmarkt and Radstadt. Just a few minutes' walk from the house. 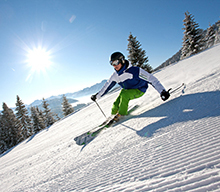 There are a total of 760 km (470 miles) of groomed slopes throughout the Skiverbund Amade. The winter sports park at Shuttleberg Flachauwinkl-Kleinarlis one of the highlights for carvers, snowboarders and freestylers. 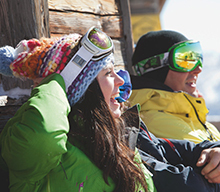 A lot of snow bars, huts and dance clubs serve up a party program. Zahlreiche Après-Ski Schneebars, Almhütten, Bars und Discos sorgen für die perfekte Après Ski Gaudi.Still with your ski boots firmly buckled to your feet and in the middle of the ski area, the après-ski fun begins at our snow- and umbrella bars. More than 20 km of cleared winter hiking paths and a large number of snowshoe paths are available for you. In the valley, you can make your way from one idyllic hamlet to the next, or perhaps tackle a trip out to one of our chalets in the mountains. Due to its location, Kleinarl is assured of snow any therefore very popular for Crosscountry skiers. On well-groomed trails is something for everyone. Especially popular tours are the long-distance tours Jägersee, the round trip Wagrain-Kleinarl and the Tauern Trail. 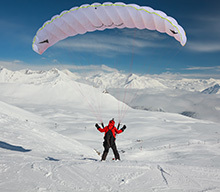 Be sure to plan in a sledding expedition during your winter holidays. 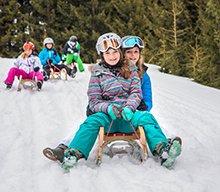 Sledding in Wagrain-Kleinarl promises fun for the whole family. Sleds and toboggans for your big winter vacation adventure in Kleinarl can be rented or borrowed locally. Throw yourself into the joys of our winter countryside, for twice the holiday fun. 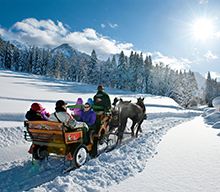 Take a ride on a horse-drawn carriage and explore the romantic winter landscapes of the Wagrain-Kleinarl region. Wrapped up snuggly in warm blankets, your sleigh will glide through the idyllic winter countryside of Wagrain-Kleinarl. Every day, shortly after noon, the ice rink next to the valley station of the Flying Mozart cable car opens its doors. Rental ice skates for adults and children are available on-site. And so that you can enjoy your ice-skating experience in Wagrain-Kleinarl well into the evening, the rink is floodlit after dark. 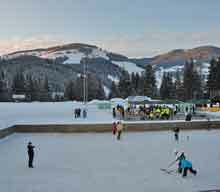 The ice rink and ice-stock lanes in Wagrain-Kleinarl are always well worth a visit in winter.